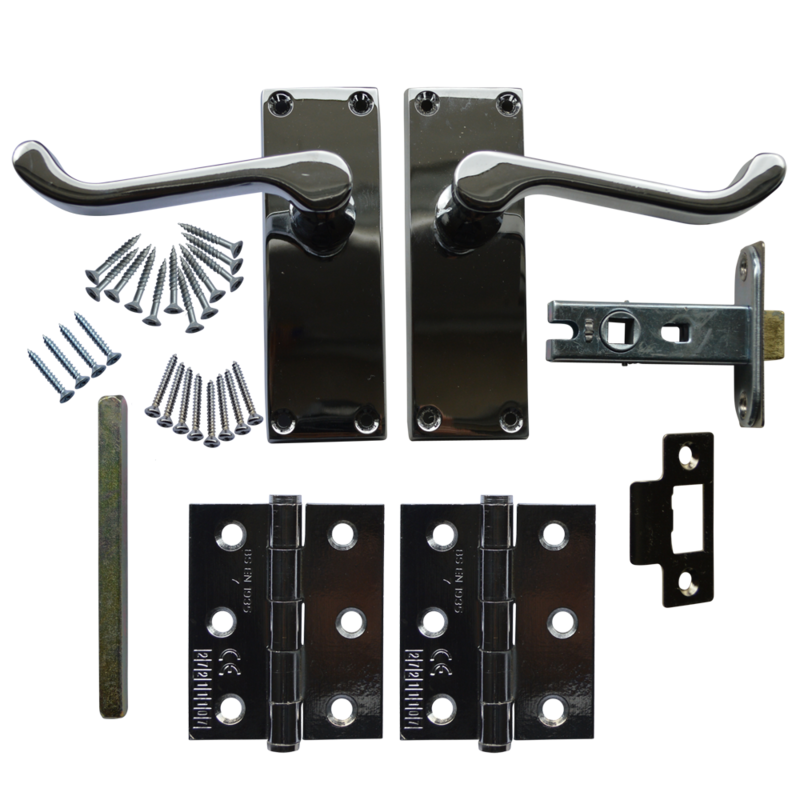 The Asec Victorian Flat Mortice Latch Door Handle Pack is a complete kit featuring everything required for fitting both domestic and office door furniture. 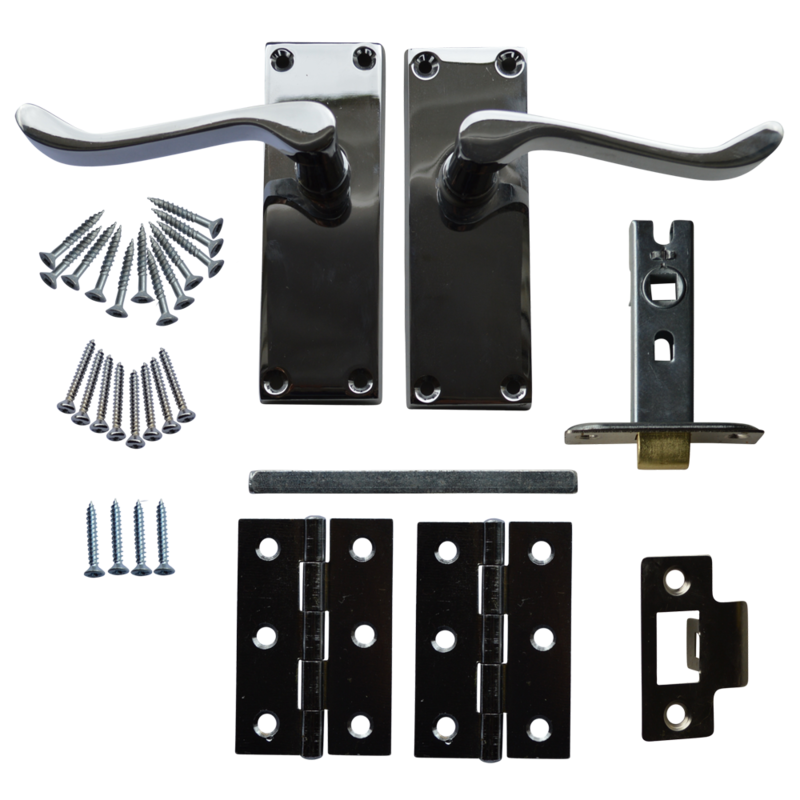 With two flat Victorian lever handles, two hinges, 8mm spindle and a 63mm tubular latch, the pack is supplied with all required fixings and fitting instructions, providing an attractive and easy to install handle solution. The Asec Scroll Mortice Latch Door Handle Pack is a complete kit featuring everything required for fitting both domestic and office door furniture. 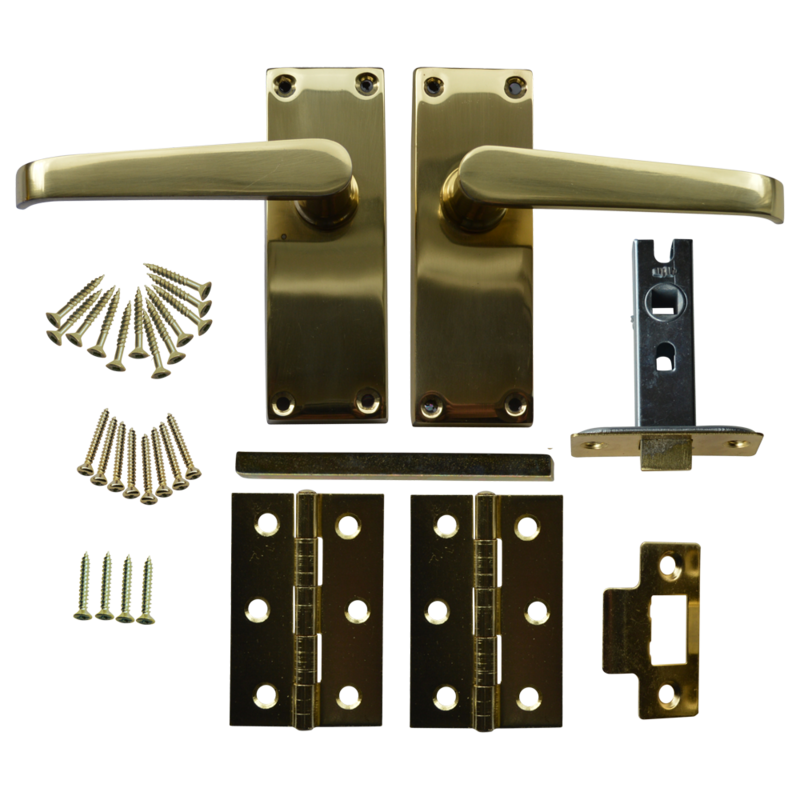 With two scroll design lever handles, 8mm spindle, 63mm tubular latch, and grade 7 hinges, the pack is supplied with all required fixings and fitting instructions, providing an attractive and easy to install handle solution. The Asec Scroll Mortice Latch Door Handle Pack is a complete kit featuring everything required for fitting both domestic and office door furniture. With two scroll design lever handles, two hinges, 8mm spindle and a 63mm tubular latch, this pack is supplied with all required fixings and fitting instructions, providing an attractive and easy to install handle solution. This Asec External Door Pack contains everything required for fitting scroll door handles and a sash lock to an external wooden door. The pack is supplied complete with 3 Grade 13 stainless steel hinges which are ideal for heavier and high traffic applications. The mortice sash lock has a 64mm (2.5 inch) cash depth, has a reversible latch bolt (making it suitable for left and right handed doors) and is supplied complete with secure box strike, faceplate and 2 keys. 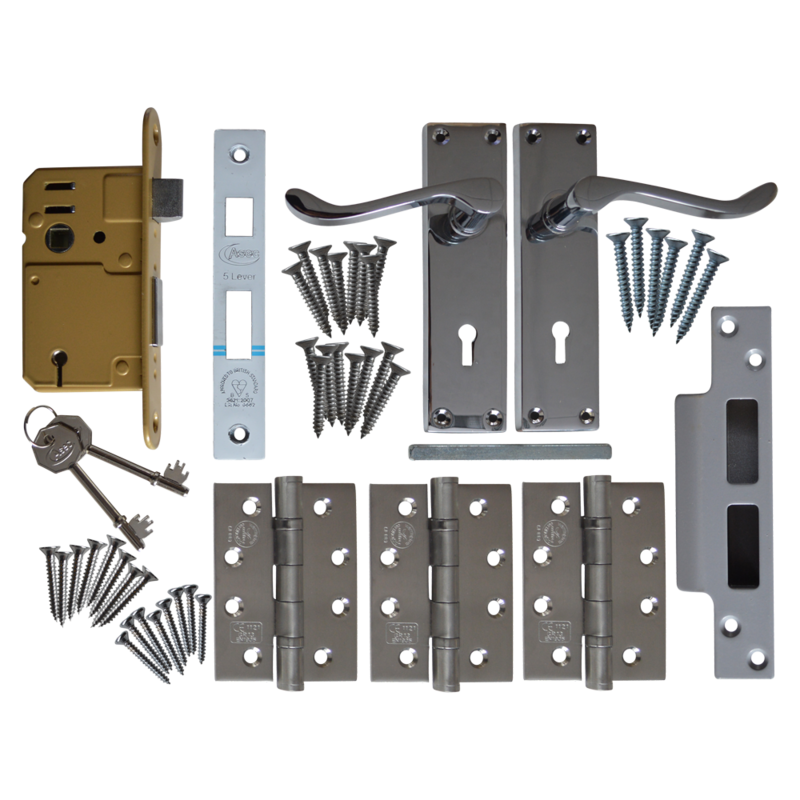 This door pack comes complete with a 10 year guarantee; all components are of the highest quality and neatly boxed for a complete out of the box solution.